Discover a Whole New Side of the Music of Eastern Europe with the World Renown Guitarists of the Trio Balkan Strings: April 22nd, Sunday @ 8:30 p.m.
Zoran, Nikola, and Zeljko Starcevic are a father and son team that together have formed the Trio Balkan Strings, a highly successful group showcasing the talents of three of Serbia’s best guitarists. Inspiring audiences with their own special brand of world fusion, they share with the rest of the world a version of Balkan-inspired instrumental music that is not only electrifying and exhilarating but also most contemporary and innovative as well. 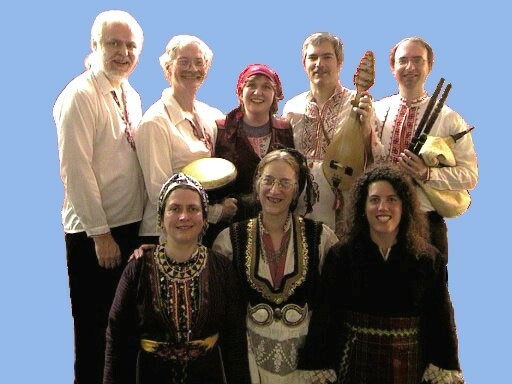 The group’s uniqueness of sound stems in a large part from a masterful blending of an extensive array of various Eastern European and other world music styles including, Serbian, Romani, Macedonian, Romanian, Moldavian, Bulgarian, Hungarian, Mediterranean, Greek, Oriental, and more. Add to that elements of Western style genres such as jazz, swing, classical and rock, and you have a whole new interpretation of what actually began as Balkan folk music. 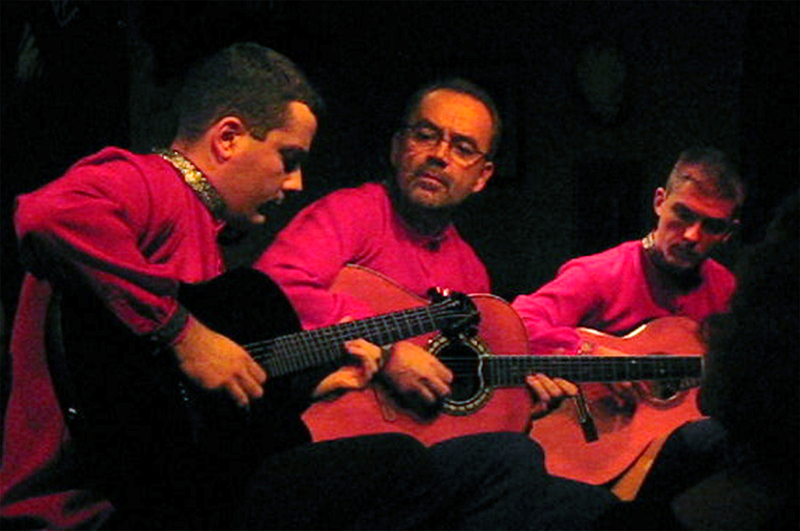 The Starcevics regard each of the many diverse styles of Balkan music as individually unique in character, and yet quite similar in many ways. This viewpoint is reflected in their music which can be appreciated as unique over-all blending of many such genres and at the same time a well constructed collage of diverse stylistic elements, each of which stands out in the mind of the listener as a distinct part of the whole. 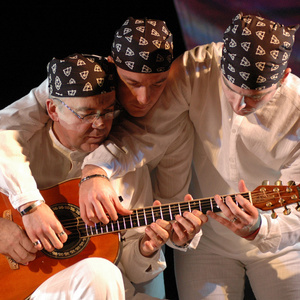 The guitarists of Trio Balkan Strings are also known for their leading-edge instrumental technique, often displayed in the form of breath-taking improvisational passages or in the execution of musical ornamentations never before performed on a pectoral stringed instrument. Each member of the trio brings their own special set of talents to the over-all mix. Zoran has recorded countless cds totaling over a million copies, while sons Nikola and Zoljko both graduated from music school and teach classical guitar. As a group they have won international awards in both performance and composition. They have graced the stages of jazz, classical, and ethnic music events throughout Europe, Canada, and the United States, and have conducted workshops with American music students. The Trio Balkan Strings have two cds to their credit entitled Balkan Guitars and Watermill. So, are you ready for a new take on Balkan music? 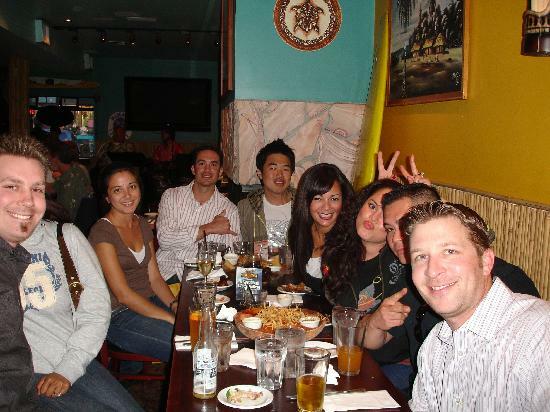 Just come on out to Johnny D’s and spend a unforgettable evening with the Trio Balkan Strings. When: April 22nd, Sunday @ 8:30 p.m. 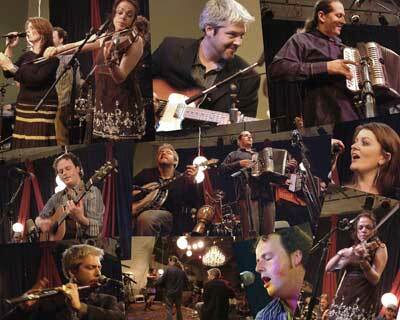 Celebrate 15 Years of Celtic Music Greatness with Solas, America’s #1 Irish Band: February 25th, Saturday @8:00 p.m.
That’s right, it is indeed the 15th anniversary of the highly renowned, extremely popular Irish-American band Solas. However, this momentous occasion isn’t simply about commemorating a band’s history, it is also about honoring the staying power of a musical legacy that has definitely left a major imprint upon the evolution of Celtic traditional music as a genre. Known for their leading-edge dynamic style, this “super band” is undisputedly our nation’s most beloved and highly revered Celtic music ensemble of all time. 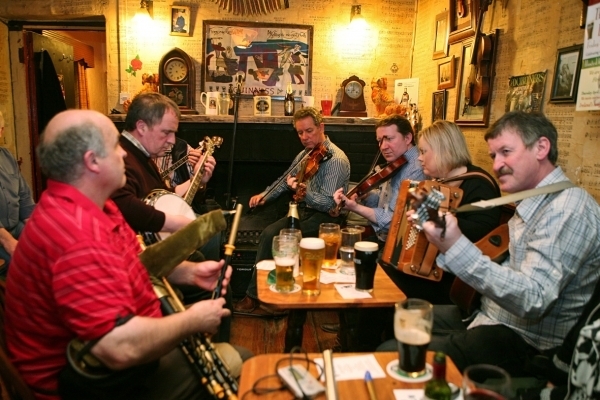 According to major music critics they have virtually taken America by storm, and I quote: “the first truly great Irish band to arise from America” (Boston Herald), “mind-blowing Irish music, maybe the world’s best” (Philadelphia Inquirer), “the standard by which contemporary Celtic groups are judged” (Austin American-Statesman). Of course, it should come as no surprise then that they have also earned for themselves a stellar international reputation as well. The band was founded by Seamus Egan, the truest of multi-instrumentalists, who plays more than seven instruments with the band and fiddler Winifred “Win” Horan. Both of them have developed such a reputation amongst the music community at large that their playing styles are often mimicked. Although they definitely serve as the basic foundation of the band’s music, they are accompanied by three fabulous virtuosos in their own right, Mick McAuley, Eamon McElholm, and Niamh Varion-Barry. Solas’ repertoire consists of both original and re-interpreted traditional pieces all of which exhibit that exceptionally unique, creative, highly progressive style for which they so well-known. They have a special knack for enriching the old standards in such a way as to effectively provide them with a new and exciting modern flair without overpowering their original character to the degree that it becomes lost. The band adds both content and stylistic variety to their musical offerings by spicing them up with the occasional American or English folk piece or experimenting with the incorporation of blues, jazz, and/or world music elements into their overall sound. This anniversary concert also serves as a cd release performance for the band’s latest recording “Shamrock City”. 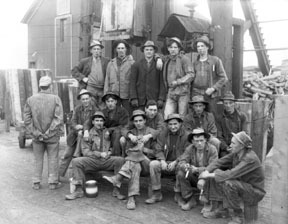 As part of a very special project that is near and dear to their hearts, Solas has produced a collection of pieces honoring the Irish immigrants who came to Butte, Montana in the early 20th-century in hopes of attaining a better life for themselves mining copper. Along with it, they have also produced a companion DVD, a musical/historical documentary, which was filmed live on location. Excerpts of it can be seen as a visual backdrop during the concert performance. Solas will share with you the story of this hardy group of Irish souls as only they can tell it, through an intriguing series of intensely emotional, lyrical ballads complimented by livelier folk tunes filled with the most rapid and thrilling of improvisational passages, designed to challenge the best of virtuosos. When: February 25th, Saturday @ 8:00 p.m. This is one highly entertaining Balkan inspired event to be sure! 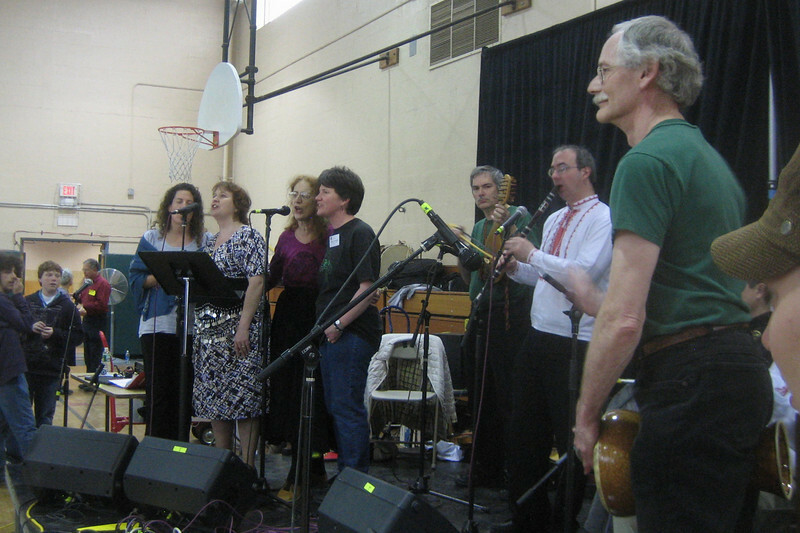 Since 1997, the Zdravets folk ensemble has been faithfully providing the public with a dance party, concert, and social get together all in one, each and every month. Hit the dance floor, mix and mingle, or just sit back and chill out to the wonderful and intriguing sounds of purely authentic traditional music originating from Bulgaria, the Republic of Macedonea, and their Balkan neighbors. Zdravets, who refer to themselves as “Boston’s friendly neighborhood Bulgarian band”, is well known for their ability to throw a good party with music that naturally lifts the attendees’ spirits, keeping one and all in a festive and fun-loving mood all evening long. The dancing is performed group-style so no partners necessary. In addition, I would point out this is a very laid back event, so dress comfortably and rest assured that dance steps will be less complex in nature and will be demonstrated for the sake of any beginners in the crowd. Dancers with all levels of experience are happily accommodated for!!! Now here’s the added bonus that comes with this particular event. During the rest periods, dancers will actually be treated to a mini concert, compliments of Zdravets of course! There will also be a refreshment table on the premises where you can meet your fellow party guests. Culinary donations made in honor of the party feast are welcomed. 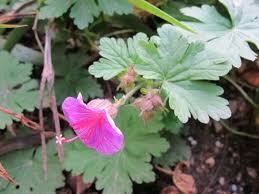 The name Zdravets refers to a wild species of geranium which thrives year round on the mountain-sides of Bulgaria. To the native population, this bloom represents health and endurance. And appropriately so, such is the state of the band’s music which has itself been thriving for over 20 years! 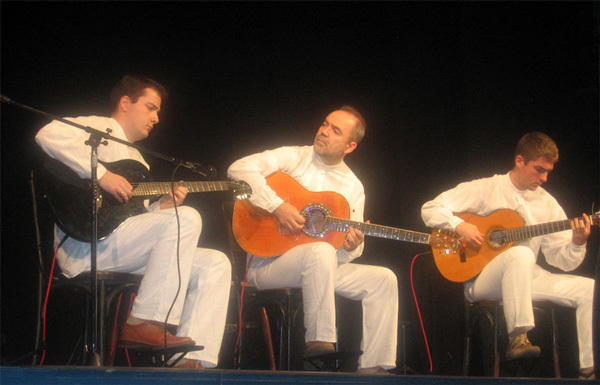 Much of their repertoire is representative of Bulgarian folk genres, which are characterized by their irregular rhythms, tightly spaced harmonic structures, and sonic intensity. The bands instrumental selections literally beckon one to get up and dance while the sharply vivid harmonies of the vocal numbers cannot help but grab ones attention. They take the authenticity of their traditional music very seriously as many of their interpretations are based on actual field recordings of native folk musicians. In addition, Zdravets performs for the most part on ethnic instruments including: kaval, gadulka, tambura, tapan, tarabuka, and gaida. 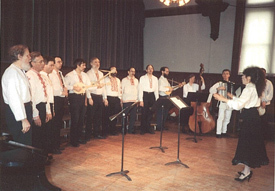 Aside from regular local appearances throughout New England, this nine-member folk ensemble has appeared oversees in Bulgaria at such prestigious events as the National Folklore and Petrova Niva festivals and on native national television and radio as well. Their latest recording is entitled “Late Harvest“. Thanks to the enthusiastic and dedicated efforts of Zdravets, Bostonians can enjoy first-rate Balkan music and dance virtually every month of the year! 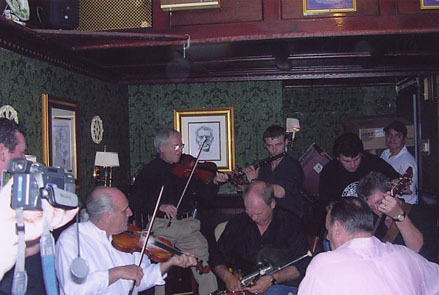 Head on over to The Beehive in Boston’s South End each and every Monday night for their exciting new “Irish & Celtic Music Series“. This seisun-style performance is led by Celtic harpist, vocalist, and jazz artist Maeve Gilchrist who will be joined by a different set of guest musicians every week. An especially nice feature of this rather informal brand of entertainment is its spontaneity and variety. You never know quite which direction the music will take you in any given performance. What you do know, however, is that some of the area’s top local talent will be bringing you nothing but the best in traditional Celtic music. Gilchrist herself, already a rising star on the Boston world music scene by the of age 25, is quite well-known for her rather avant-garde style of musicianship, which often exhibits a heavy presence of chromaticism. Also of note is her exceptional ability to so freely and effortlessly allow her fingers to fly across the harp strings in a most rapid fashion. Originally from Scotland but also of Irish heritage, Maeve spent her childhood years surrounded by a heavily music-oriented family. Although their focus was on traditional genres, she spent hours listening to her father’s rather large and eclectic collection of sound recordings. As a result of such exposure early on, Gilchrist quickly developed a keen taste for music of many different genres and cultures and has since developed into the highly innovative artist she is today. Maeve became quite a well-established musician nationally by the time she was a teenager and landed herself a scholarship overseas at the Berklee College of Music. From there she developed a highly successful professional career in the US appearing at both national and international premier events including the Tanglewood Jazz Festival, World Harp Congress, the Celtic Connections Festival and elsewhere. She has also performed with numerous world-renown musicians including Alasdair Fraser, Esperanza Spalding, Darol Anger and Vardan Ovespian. Her first cd release was an international success and she has recently produced another entitled “Song of Delight”. She currently appears locally with bassist Aidan O’Donnell. 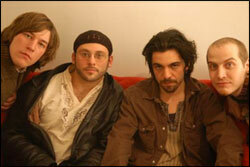 as well as Scottish folk/jazz fusion ensemble the Ultra-Modern String Quartet. With respect to her role as leader of the weekly Beehive seisuns, Maeve Gilchrist’s affinity for the new and creative should prove to be an exciting catalyst for one interesting evening of traditional Celtic music. The holiday season is a big deal at Mr. Dooley’s in downtown Boston! Last year’s entertainment schedule seemed like it would be pretty hard to beat, but they did it this year with the addition of a weekly Tuesday night series of Christmas parties lasting the entire month of December. 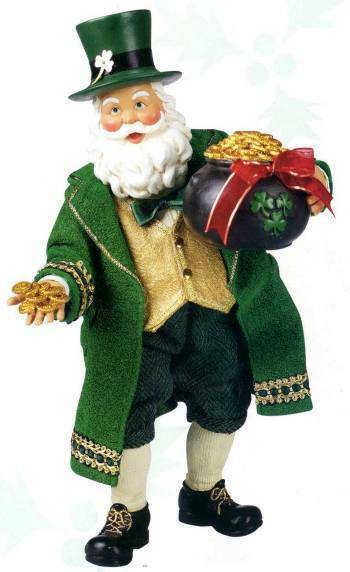 Best part is, that there is plenty of live traditional Irish music to be heard and enjoyed at each and every one of these holiday shindigs which also include a St. Stephen’s Day celebration and, of course, a News Year’s eve bash, as well. Patsy Whelan – Highly energetic and fun-loving, this fiddler/guitarist isn’t happy until his audience is up and out of their seats dancing. Upon arriving in Boston, he rose rapidly to legendary status and besides remaining heavily active on the entertainment circuit is also included on the performance roster at numerous Irish music festivals. He has performed with some of celtic music’s biggest names including Paddy Reilly, Brendon Mulvihill, Brian Gaffney, The Waterboys, and others. Michael “Maxi” Courtney – Originally from Ireland, he was raised within a family of musicians and had already started a professional performing career by the age of 14. As a fast learner he never had a formal music lesson in his life. He toured Europe before coming to Boston where he became quite popular amongst the local Irish music circuit. He is known for his great vocals and the ability to display an impressive degree of melodic, harmonic, and rhythmic complexity in his guitar playing. Devri – This band is known for its “partying” spirit! While maintaining a close-knit connection to Ireland, this Boston ensemble has toured internationally performing all genres of Irish music. Their membership includes Declan Houton, Larry Flint, Steve O’Callaghan and Chuck Parrish on fiddle, mandolin, banjo, acoustic and electric guitars, bass, whistle, and drums. Awaken Your Creative Senses in an Evening of Leading Edge World Fusion with Jazz Artists Eastern Blok: December 7th, Wednesday @ 8:00 p.m. Innovation! Innovation! Innovation! 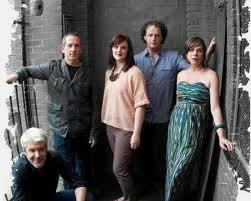 Such is the musical mantra for popular world fusion jazz ensemble Eastern Blok. This group remains ever ready to outdo themselves by pushing the envelope just a little further with each subsequent performance, often through the employment of unconventional rhythmic patterns and offbeat phrasings. They further challenge themselves by experimenting with music that varies in mood from the intensely lyrical and profoundly emotional to the more animated and light hearted yet electrifying. Their inventive re-interpretations of old standards and innovative original compositions are a by-product of the artful blending of many diverse styles with jazz including classical, Macedonian, Bulgarian, and Serbian folk, Klezmer, rock and a smattering of Middle Eastern flavorings as well. The band members are all formally trained musicians and virtuosos in their own right. So as one might expect, their music is as distinguished in its complexity as it is technically advanced. Nevertheless however, Eastern Blok takes pride in creating music that appeals to all types of listeners and that also ultimately continues to stand the test of time. They will tell you that key to their success in this regard lies in the masterful blending of both classical and jazz genres in a musical setting that is ever evolving yet still highly pleasing to the vast majority of listeners’ ears. 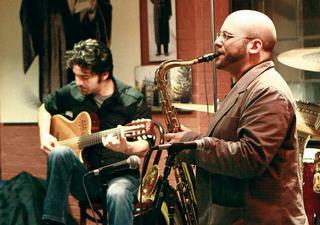 Founded in 2004 by Goran Ivanovic, lead composer of the group, and Doug Rosenberg the band continues to tour nationally, performing at America’s top entertainment venues. The current membership includes Ivanovic on classical guitar, Rosenberg on woodwinds, Matthew Ulery on upright bass, and Michael Caskey on percussion. 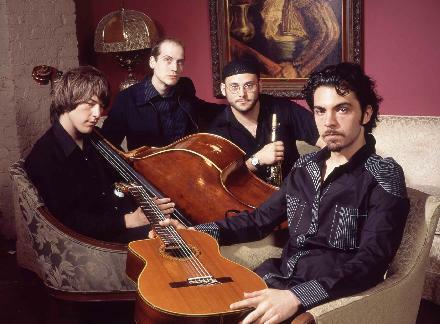 A major breakthrough in the group’s career came in 2005 when their self-titled debut release “Goran Ivanovic Group” (became Eastern Block in 2006) received a national award for Album of the Year by the publishers of Acoustic Guitar Magazine. More accolades followed that same year when the group’s single entitled “Blacksmith’s Dance” stood out from thousands of other competition entries in the John Lennon Songwriting Contest to make it all the way to the finalist’s round! They have also been featured on Chicago Public Radio and in 2007 were among the ensembles specially showcased at that city’s World Music Festival, one of the largest musical celebrations of its kind in the US. So, if you’re in the mood to get your creative juices flowing, an evening with world fusion artists Eastern Blok, should definitely be on your “to do” list! When: December 7th, Wednesday @ 8:00 p.m.